for brands & agencies to consider partnering with! Looking to be a part of these events? Network, mingle and meet with some of the most cutting-edge LGBTQ New Media today! Call us at (323) 963-3653 or contact us here to get started. This June, in conjunction with World Pride 2019, marketers and media agencies are invited to preview some of the latest in LGBTQ media, including the newest shows and returning series from some of the biggest names in the digital content business at this must-attend collection of events known as the LGBTQFronts. This event represents an opportunity for more digital content creators, advertisers, and agencies to connect, share, and create new partnerships together. With some of the LGBTQ world's leading media companies & influencers set to present their latest content - everything from new & returning series and documentaries, to audio and podcast programs, YouTube series, cutting-edge digital program and more, including networking and cocktails. 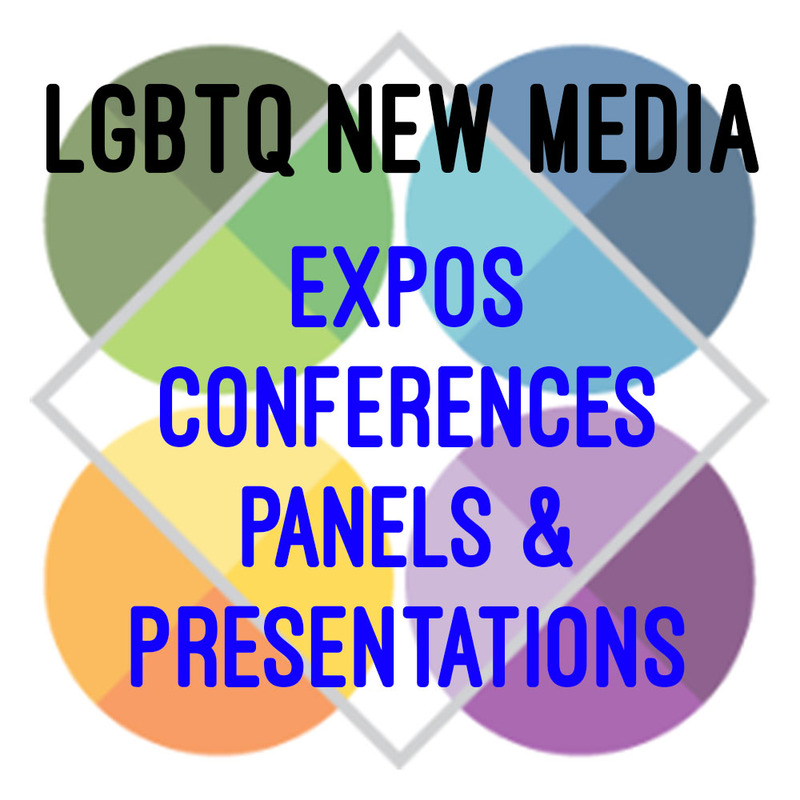 It's set to be a content extravaganza that will help you in your LGBTQ media planning for 2019! We hope to see you there! LGBTQ influencers outlining their capabilities, along with details including their reach and access opportunities to their specific LGBTQ audience. They'll also be presenting on their numbers, along with their capabilities and a few past client projects. Glitterbomb is an explosive pop-culture talk show hosted by an all gay Latinx Hollywood insider panel featuring Patrick Gomez, Alexander Rodriguez, and Enrique Sapene. Their queer Latinx perspective drizzled with wit, humor and first-hand insight into A-lister life gives Glitterbomb a festive and unique flavor that everyone can enjoy! Combining their experience in acting, radio and journalism there's no subject too hot to handle and no scandal too spicy to dig into. Join us each week for a half-hour of lively banter, celebrity guests and... a martini, of course. Queer owned and operated, Revry was founded to showcase the works that our community wants to see and to highlight stories that are still being overlooked by the mainstream. They're looking to the future of queer entertainment! After our LGBTQfronts event ends, join us for an after-party networking reception from 5-7:30 pm, hosted by Revry.TV. 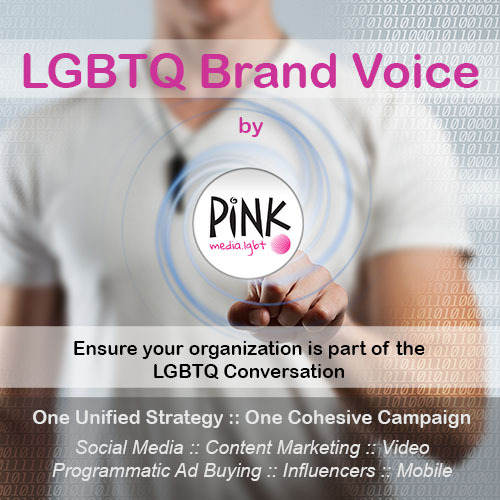 Attention all LGBTQ media companies, content creators, podcasters, influencers and more... do you have an exciting, new offering, new angle or new aspect of your business you'd like to present? What we're looking for is something new, something different and something bold! If you can present on how a company can partner with, advertise with or simply be a part of what your company has to offer, including specifics, let us know. We've begun the first-round process for choosing those who will be selected to present to our audience of brands, advertising agencies, media planners & buyers, and we'd love to explore having you a part of this inaugural event. For LGBTQ influencers, we're offering 5-minute presentation opportunities, which includes a personal introduction, as well as a visual presentation outlining your capabilities (can be PowerPoint, Prezi or a video), along with details, and including your reach and access to your specific LGBTQ audience. What we're looking for here is a quick presentation that shows who you are, with some numbers, along with your capabilities and perhaps a few past client projects.